The All Progressives Grand Alliance (APGA) candidate in the governorship election in Edo rescheduled to Sept. 28, Osaro Onaiwu, has called for further shift of the exercise to Oct. 1. The Independent National Electoral Commission (INEC) on Thursday announced the postponement of the election fixed for Saturday to Sept. 28, following insecurity alert by security agencies. Mr. Onaiwu told journalists in Benin on Monday that a further shift in the date of poll was necessary as Sept. 28 was the day students sitting for the ongoing General Certificate of Education (GCE) across the country would write Physics. He said Oct.1 was the “earliest possible date” for the election. Mr. Onaiwu said the shift would afford eligible voters among the students to participate in the election. 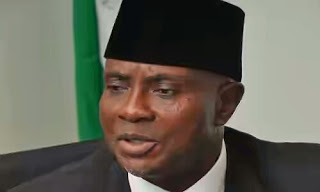 According to him, education is number one pillar in APGA’s manifesto, and the authorities must be wary of threats from some of the students that they would sue INEC if they were‎ prevented from voting in the election.